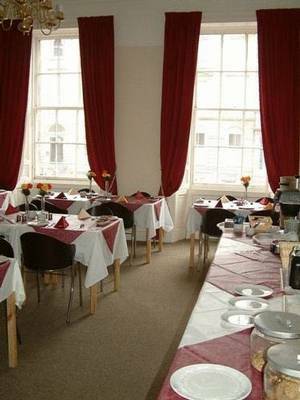 Well located in the new town within a short walk of Prince's Street, Edinburgh bus station and Waverly train station. 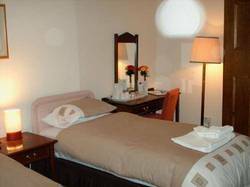 Clean and comfy rooms have in them all that you will require to make your stay a memorable one. Once a classic townhouse dwelling the conversion has been done to keep the charm of the building alive for you to enjoy. To make your arrival simple you don't have to walk far from the train station or the bus station. Both are easy to get to and from from us. Once you have settled in enjoying all then wonderful shopping on Prince's Street is also easy, as it is also very close. This additionally will mean that enjoying a meal in any one of the many amazing restaurants on Rose Street is no effort what so ever from us. 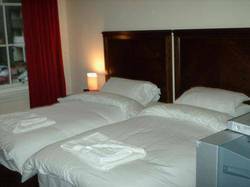 Your rooms here are kept very clean and they are made to be as comfortable as we can make them for the very good prices we offer. They will have all the facilities you require and if there is something more you require, all you have to do is ask at the front desk. 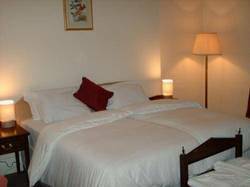 Most of the rooms available have a very clean bathroom which is for your private use. 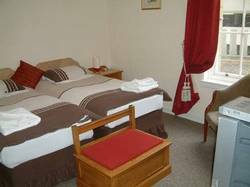 Some of the budget rooms do have shared facilities so please check the rooms details as you book. 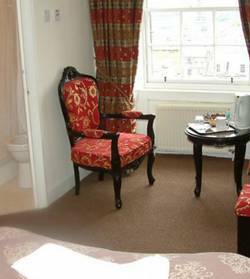 This lovely converted townhouse hotel is in a great spot to enjoy the city centre. The buildings charm will lend itself to being a small part of what will be a great tie away for you. This is a great choice for the young lovers out there. Having a great evening out around here is simple to do. Not only are there plenty of great restaurants but there are also some lively and friendly bars. We can and will happily give you some local advice on which ones to try. There will be something nearby to suit most tastes.